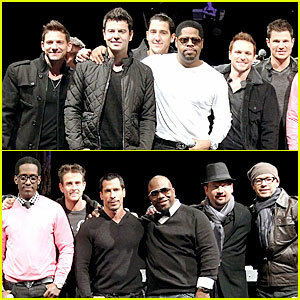 New Kids on the Block, 98 Degrees, and Boyz II Men get together for the first time for a special show to officially announce their Package Tour on Tuesday (January 22) at Irving Plaza in New York City. In attendance were the guys from NKOTB (Joey McIntyre, Donnie Wahlberg, Jordan Knight, Jonathan Knight, and Danny Wood), the 98 Degrees men (Nick Lachey, Drew Lachey, Jeff Timmons, and Justin Jeffre), and the Boyz II Men gentlemen (Nathan Morris, Shawn Stockman, and Wanya Morris). 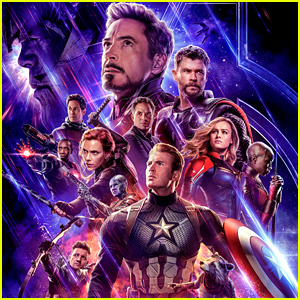 In case you missed the announcement, the groups will be heading out on tour together from May 31 through the middle of July. 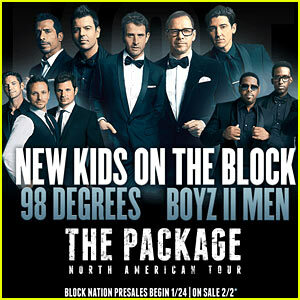 New Kids on the Block To Tour with 98 Degrees & Boyz II Men! Get ready music lovers: New Kids on the Block will be going on tour with 98 Degrees and Boyz II Men, beginning this summer!!!!! 98 Degrees and Boyz II Men will open all the shows, which begin on May 30 in Uncasville, Conn.
ARE YOU EXCITED for the NKOTB, 98 Degrees, and Boyz II Men tour?? ?